e.l.f. Hydrating Face Primer boosts your complexion with a drench of hydration, creating a perfect canvas for radiant, younger looking skin. Infused with Grape and Vitamins A, C, & E for nourishing and anti-aging benefits. This multipurpose clear skin primer reduces the appearance of fine lines and transforms your face into a flawless and smooth canvas so makeup goes on evenly for a long-lasting finish. How To Use: Apply to clear skin prior to makeup application. Use a small amount and blend evenly all over the face for a smooth and flawless base. For best results, you may need to pump the component several times before product dispenses. 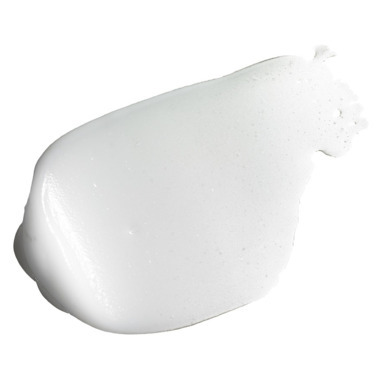 Ingredients: Dimethicone, Tridecyl Trimellitate, Dimethicon Crosspolymer, Vitis Vinifera (Grape) Seed Oil, Silica Dimethyl Silylate, Phenoxyethanol, Methylparaben, Ethylparaben, Butylparaben, Propylparaben, Isobutylparaben, Tocopheryl Acetate (Ve), Retinyl Palmitate (Va), Ascorbyl Dipalmate (Vc). I have very dry skin, and this made a noticeable difference for me. Great product, but not for oily skin. It works well for those that need moisturizing. 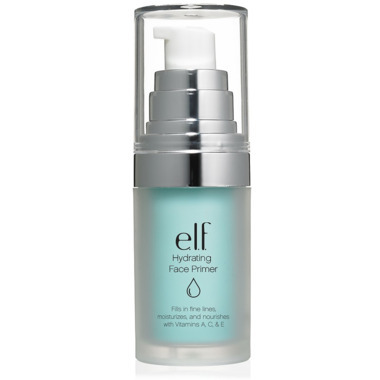 This is the first E.L.F product I decided to try and am not a very happy customer. don't like this product at all. My face is sensitive and dry/dries out quickly, i hardly ever get acne. However, this product left my face very oily, broke out in acne, and even the tiniest amount just would not absorb. After putting foundation etc on, it still left my face glossy/oily looking. It didn't stay. It also stinks. I would not recommend at all. My skin feels very moisturized after application, only complaint is that it takes awhile to absorb into my skin. Best primer ever. A little goes a long way and it does as promised, creating a great canvas for the rest of my makeup.